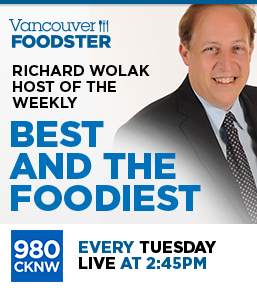 Welcome to the Vancouver Foodster Sandwich Challenge. 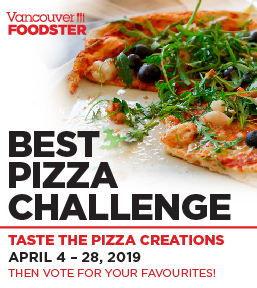 Restaurants from all over the city were invited to enter their Sandwich creations into this challenge. 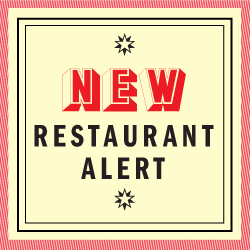 Each restaurant will be featuring their Sandwich creations on their menu from November 1 – 25, 2018. How Does this all Work? 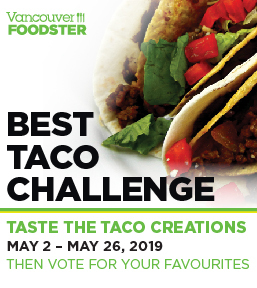 For the public challenge, you are invited to go out and order any or all of the sandwich creations in this challenge, then you decide who you think has the best sandwich creation for the People’s Choice award winners. 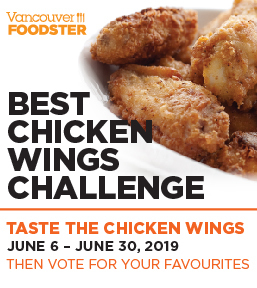 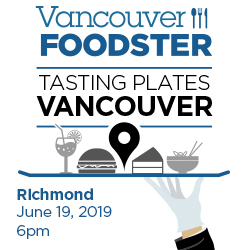 Share your experiences: Tweet (and don’t forget to tweet or instagram your photos) throughout the challenge, our twitter and instagram address is @vanfoodster and the hashtag is #SandwichChallengeYVR please include this hashtag in all your tweets during the challenge. 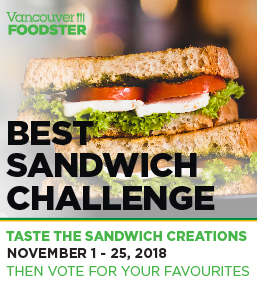 Voting criteria – some things to help you judge your favourite sandwich creations – keep these things in mind: originality, creativity, uniqueness, traditional, non-traditional, price, value and most importantly taste. 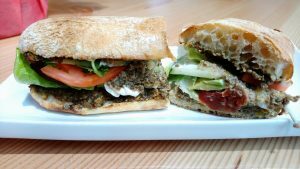 Here are the sandwich creations in this challenge, listed in no particular order other than when they were received by us. 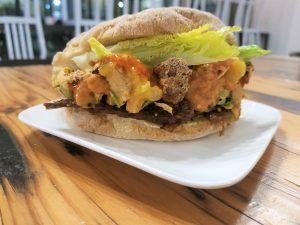 Description: After the first bite one will start to believe in Nietzsche. 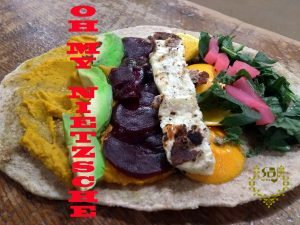 On freshly baked unleavened whole-wheat Saj, a yellow cream of ginger and squash dip, zaatar of course since im lebanese, beets for the love, kale and spinach for vancouverites, pickles for no reason, crispy chickpeas for fun, halloumi for an aphrodisiac sensation and a sparkle of Orange for fun as well. Writer for Inside Vancouver and other publications. Writer and Photographer for Eds Eats and other publications.